London/Monaco, 13 February 2017 – With an extended panel of Judges, some joining for the first time, the Datacloud Awards for 2017 aims to be globally relevant and give recognition to the most innovative companies and people in the sector. 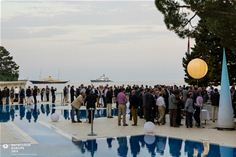 The Awards ceremony, which includes dinner, will be held on the evening of 6th June at Le Sporting in Monaco. Award nominations close February 28th. Sustaining the refreshed format, the Judges will award the Data Centre and Cloud Leadership Awards, selected from nominations made by companies in any of the other categories. In addition to excellence in Data Centre service, the awards for community impact reflect the positive contribution that both Data Centre and Cloud make for social benefit. All categories are open to enterprise owned or third party facilities. The awards will also highlight Data Centre location, a highly competitive area of the market. Many agencies across Europe compete not only with each other, but also internationally and the award will denote industry distinction. The Judges also wished to bring a special spotlight on upcoming service providers in both industry categories. Among the newer award categories are: Best Energy Solution Award for the use of a disruptive energy innovation; Excellence in Connectivity Award for high levels of service reliability and availability provided by cable, dark fibre and Internet Exchange providers. The Best Deployment of IoT Award is designed to showcase innovative projects that use today’s data-driven technologies to shape the cities of tomorrow. The Judges also announce the Young Technical Leader of the Year Award, to recognize people who have demonstrated a track record of achievement early on in their career. The ceremony will also include the annual BroadGroup Award to an individual or company for achievement of the exceptional, and the European Commission will make awards for the European Code of Conduct. Companies can benefit by attending the Awards dinner and ceremony, sponsoring one of the Awards, and with the recognition of being shortlisted, start making contact with a global network of potential customers and partners to jump start the success of their innovations. Four companies shortlisted for each Award will be invited to provide a short video that will be shown during the Awards ceremony, broadcast on the Internet, and supported by fantastic global PR, social media exposure, and press releases. The winner will receive a branded Award at the ceremony. The other shortlisted companies will each be given a special prize as a runner-up and exposure on social media.